In my house we use Siracha like ketchup. My husband especially loves anything spicy, the hotter the better for him. Last night the kids were with Grandma, so I made Siracha Garlic Tofu just for my hubby. 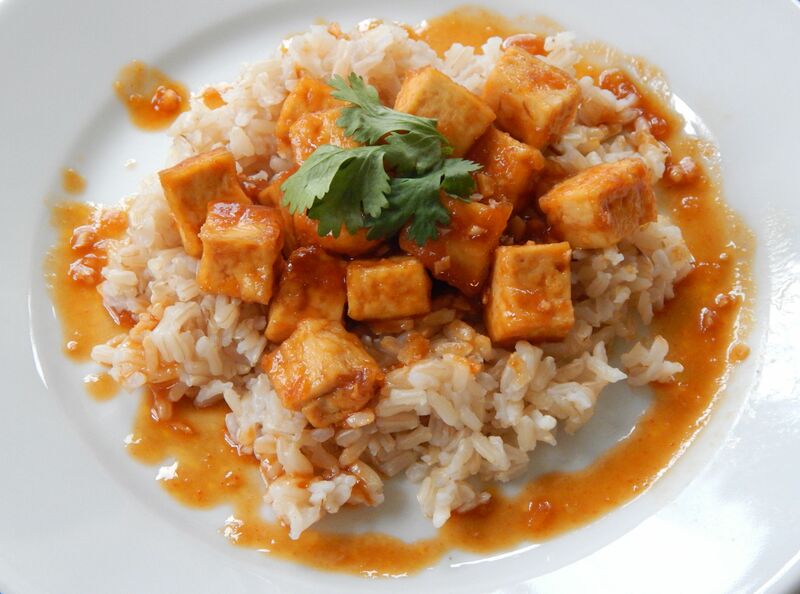 Just a warning this is really spicy, but if you are a fan of heat this tofu recipe is definitely for you. I served it with a Asian cucumber salad to help put out the flames a little.